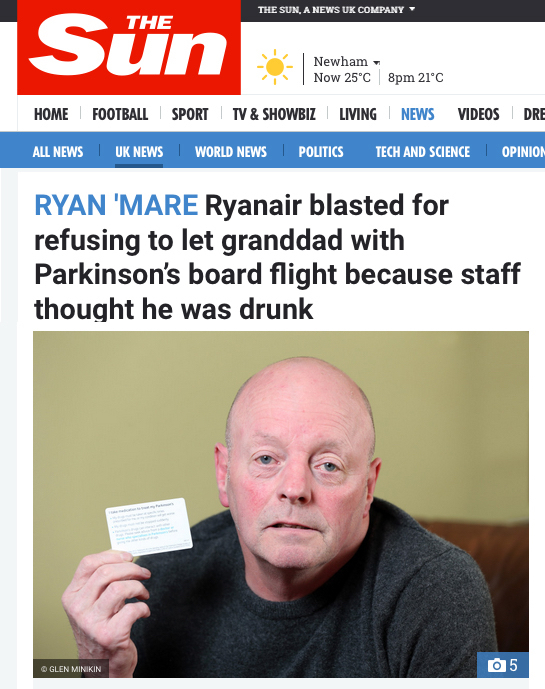 Campaigners and people with Parkinson’s have voiced their outrage after Ryanair barred a passenger with Parkinson’s from a flight – because staff thought he was drunk. The no-frills airline is reportedly facing legal action over its refusal to allow Geoff Jackson, 58, on a flight from the UK to Spain – even though he produced a card from Parkinson’s UK that explained his condition. Geoff told The Sun newspaper: “I’m disgusted by them. Sadly, it’s quite a common problem. My symptoms mean that I shake and sometimes I sway while standing up. 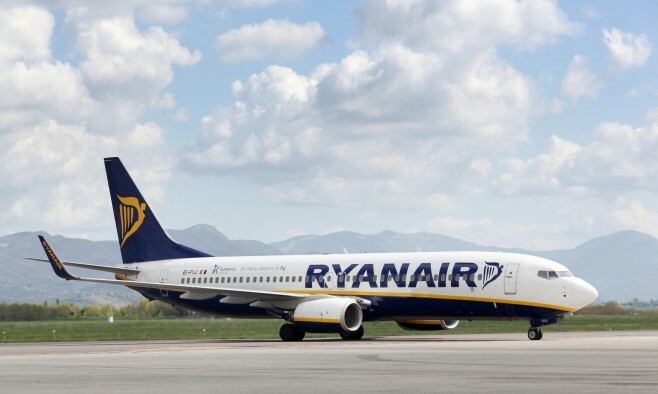 According to the newspaper, Ryanair wrote a letter in response to Geoff’s complaint, saying that the decision to stop him from flying was taken after staff noticed him “feeling unwell”. The letter stated: “The gate supervisor was called and made the decision to deny boarding for your own safety. Despite the apology, the story provoked an angry response on social media from prominent campaigners and people with Parkinson’s. Kathrynne Holden, a registered dietician specialising in Parkinson’s disease, took to Facebook to condemn the actions of the airline. The passionate response of Facebook user Kris Culliney, who has Parkinson’s, was typical of many of the remarks on social media – although he also expressed some sympathy for staff who may not be trained to recognised symptoms. “Nice one Ryanair, as someone with Parkinson’s disease it’s nice to see your ignorance in relation to Parkinson’s. I actually do however feel sorry for your staff as their is a lack of awareness in relation to the disease. However, as your people decide who goes on planes should you not be aware? Surely you can even Google symptoms of Parkinson’s? Parkinson’s UK said: “Sadly, the ignorance of the symptoms of Parkinson’s can have a devastating impact on people with the condition. “We hear all the time from people with Parkinson’s that they’ve been accused of being drunk and that people do not believe that they have a medical condition. 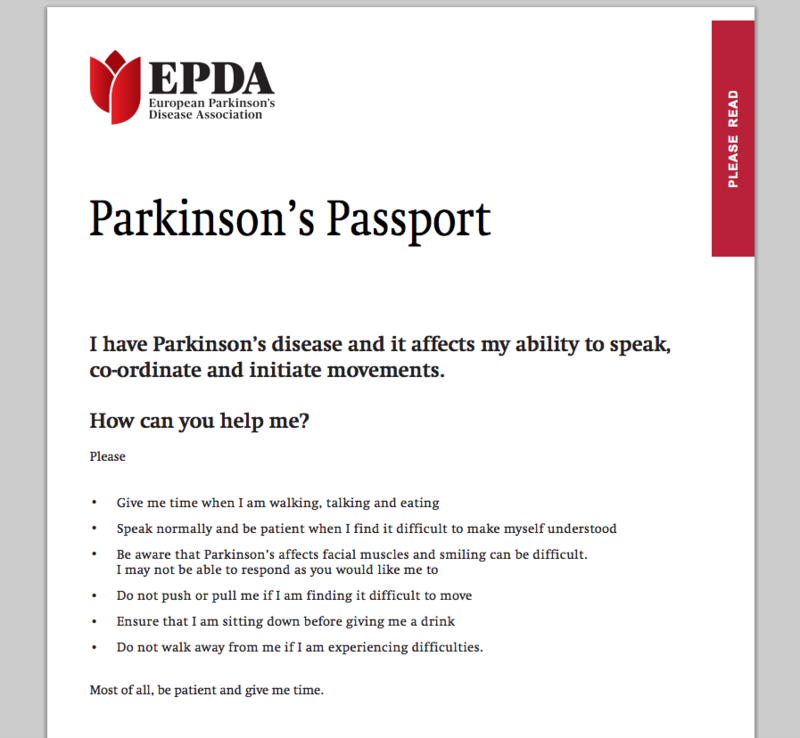 The Parkinson’s passport is a free downloadable resource from the European Parkinson’s disease Association (EPDA) that allows you to document essential details of your medications and treatment such as dosage and timing, as well as emergency contacts and a space where your doctor can sign his/her approval. There are several versions of the passport to choose from, which reflect precautions or helpful advice, depending on your specific treatment. You can also customise the passport to include your personal details and add more medication pages if necessary. Thank you Kathrynne for condemning the actions !!!! Awareness is needed yearly/monthly :- not just in one week a year !